There is one universal law that has been formed or at least adopted . . . by the majority of mankind. That law is justice. Justice forms the cornerstone of each nation’s law. Alexis de Tocqueville, Democracy in America, 1835. Our attorneys also believe in the concept of “justice.” In each legal contest for which our lawyers are hired, we fight hard so that our clients may achieve a just or equitable result. Our attorneys strive hard to do their part on each case so that the wheels of justice may continue to turn and an equitable and just result may be had for each and every client. In the opening years, the firm focused primarily in the area of criminal law, defending such cases as misdemeanor assault, harassment, domestic violence, trespass, as well as felony assault, drug crimes, drug trafficking, theft, robbery, and the like. The firm also focused on such criminal traffic law violations as DUS, driving under a suspension, No Ops, no operator’s license, Hit Skip, leaving scene of an accident, and other such offenses. We further defended cases of drunk driving, once called DUI, OMVI, and later changed to OVI or operating vehicle while intoxicated. Our criminal defense lawyers and criminal law attorneys, as well as our knowledgeable drunk driving lawyers, still provide quality legal representation to clients charged with a criminal law violation, criminal traffic violation, or a drunk driving offense. Our practice expanded to the area of family law and domestic relations and we provide skilled, experienced, and aggressive legal assistance to clients who need to obtain or defend an action for divorce, dissolution, establish paternity, obtain, modify, or enforce a parenting plan, child custody, child support order, or a domestic violence civil protection order, CPO, among other domestic relations and family law matters. Our family law attorneys and divorce lawyers understand that the legal system is an unfamiliar, stressful, and overwhelming process, especially in the area of divorce, child custody, domestic relations, and family law. Our divorce lawyers and family law attorneys understand that the legal system may be difficult and we work with each of our clients so they can make informed decisions about how to proceed confidently with their case. The firm expanded to the area of business litigation and we provide clients with knowledgeable and experienced business litigation lawyers and business law attorneys. We put forward accomplished legal assistance to business owners and new entrepreneurs in central Ohio, surrounding counties, as well as the rest of the state and beyond. Our skilled and qualified business litigation lawyers and business law attorneys help our clients set- up, structure, and start-up new Ohio business ventures. We also provide legal counseling or advice for day-to-day business operations, franchising, lease negotiations, commercial contracts, and other legal business concerns. Our business litigation lawyers also provide serious aggressive legal representation to all business clients that have to protect or defend business rights in a court of law. The firm further provides skilled, experienced, and aggressive personal injury help to clients who have suffered from a serious injury as the result of someone else's negligent conduct or deliberate wrongful action. 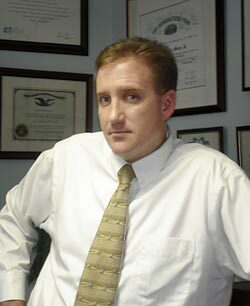 Our qualified and knowledgeable personal injury attorneys help clients recover medical bills, rehabilitation costs, lost wages, as well as compensation for pain and suffering that result from a personal injury, auto accident, dog-bite, slip and fall accident, or some other catastrophic misfortune. Thank you for your interest in the legal services of our Law Offices. We look forward to working with you on your legal needs and we welcome you to check out the rest of this site.